Resolution to grant planning consent has just been achieved for a residential-led masterplan which will regenerate a unique site at the heart of Lewisham’s town centre, providing the focal element to the Borough’s new and emerging skyline. 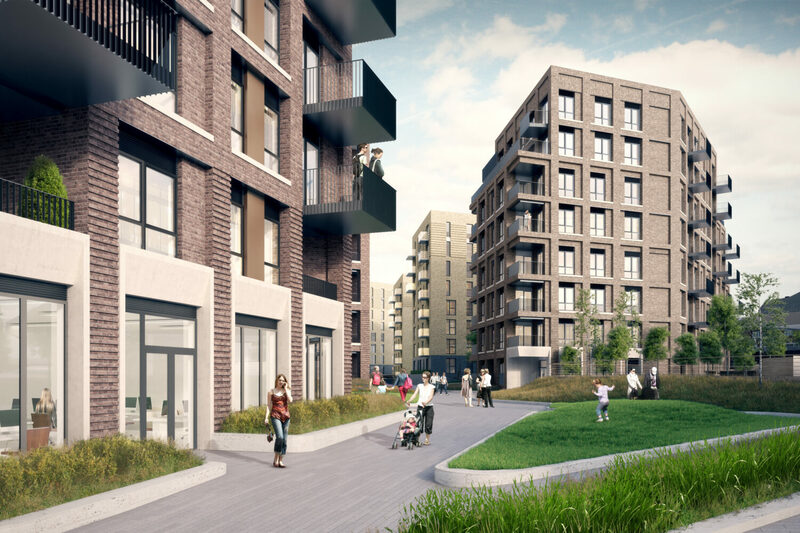 The scheme, described by the London Borough of Lewisham as ‘being of exemplary architectural quality‘, will deliver 365 new homes of mixed size and tenure within three buildings, set across two connected sites. By integrating the development with neighbouring communities, our design brings regeneration benefits to the surrounding areas and the town centre. Buildings of appropriate scale and massing will harmonise the old and new, repairing the fragmented Conington Road streetscape.